Wasted water means increased room fees, so you’re ultimately losing out on maximizing your hotel profits. Plus, there’s the environmental ramifications related to wasting all that water. In the United States alone, hotel and other lodging facilities account for nearly 15% of all commercial and institutional water usage. That means that your hotel has a major impact on the water usage in your city; therefore, the responsibility lies with you to make sure you run and maintain an efficient and environmentally friendly establishment. These water saving tips (among many others) have been proven to save hotels thousands of dollars in water related costs alone. For example, a hotel in San Antonio, Texas upgraded its restroom facilities with high efficiency toilets, showerheads and sink aerators, saving 7 million gallons of water and $35,000 in water and sewage bills each year. And if that’s not good enough, they also reported fewer maintenance calls from their 397 guest rooms! The bottom line: If you become as water savvy as possible within your hotel operations, you’ll save and make more money, help your local community keep their water costs down, and help save the environment. It’s a win-win situation for everyone! The first thing to do if you want to understand how to lower your water bill is to conduct something called a water audit. A water audit is a process to figure out how much water your business is using and exactly where it’s all going. Though the best way to get accurate results is to hire an energy consulting firm, this can be done in a more general way by yourself and/or your staff. If you choose to conduct your own water audit, you should start by looking at two things: your previous water bills and your water meter(s). If your bookkeeping is in order you should have ready access to at least year’s worth of water bills, and two or three years worth is even more helpful if you have them. This may be 12 bills annually, or as few as two or four. Some municipalities bill water usage monthly, some bill once per quarter and others just twice a year. Your water bill will generally be measured in cubic feet (or Ccf), so you need to know that one cubic foot is equal to 748 gallons. This information is useful because it gives you a starting point for a comparison with other businesses of a similar size as your own. As a general point of reference, as of June 2012 the EPA found that the median per guest room usage in a hotel was 102 gallons of water per day. When you begin calculating where the water in your bill is actually being used (we’ll touch on that shortly), knowing industry benchmarks helps determine if your usage is low, higher than normal or just about average. Additionally, changes in your bills might give you a clue as to hidden leaks or problems in your system. If your usage has increased considerably from bill to bill and you can’t attribute a jump in your hotel water usage to anything in particular, such as additional equipment or seasonal changes, this could indicate a leak somewhere on your property. If you don’t have access to your bills, you can still calculate your water usage by reading your water meter. This may look complicated at first, but once you know what all of the numbers mean you can easily calculate your facility’s overall usage rates. To gather current data, add the task of checking the water meter to the list of scheduled maintenance your crew is already doing. You may also be able to use your water meter for leak detection. For this you need to find your “water movement indicator dial” aka “leak dial.” The leak dial is usually either asterisk or triangle shaped. 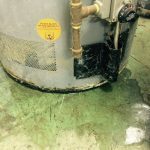 This test will only work if you can be sure that none of the water in your facility is running, which is why this is simpler for homeowners to accomplish. But it might be feasible if you own a small hotel or close for business at any time – perhaps on a seasonal basis. Essentially, if the leak dial is moving there is a flow of water somewhere inside your building. So if you can be sure that everything is turned off and your dial is still turning, you know you have a leak somewhere. For faucets and showerheads you need to know the rate of flow (gallons per minute or gpm), for toilets you need the amount of gallons/flush, for dishwashers you’ll need the gallons per rack rating (GPR), and for washing machines you need to know how many gallons of water are used per load. Consider that although you may have 200 toilets, sinks and showerheads in each of your hotel rooms, the chances are high that many of them have the same fixtures installed. If you have documentation for your equipment or the make and model, you can easily find the usage per rack or load. If you have the resources, it might make sense to appoint a staff person to this task. Choose someone who is numbers savvy and has a passion for reducing, reusing and recycling. The more interested they are in conserving our Earth’s natural resources, the better! The reason for doing this is simple: knowledge is power. You can’t understand what needs to be upgraded, improved or changed if you don’t know where the problems lie. Knowing what uses the most water in your hotel is the first step to becoming more efficient. Your restrooms, kitchens, laundry operations and landscaping consume more water than any other area. Luckily, there are plenty of solutions, and we’re here to help! If you were under the assumption that your pool and jacuzzi were sucking up your water dollars, think again. Pools usually account for just 1% of a hotel’s overall water usage. Restrooms are the number one culprit when it comes to hotel water usage, claiming a whopping 30% of total water use. Luckily, this is one place where changes can easily be made, simply by reducing the flow from showerheads and faucets, along with the gallons flushed down those toilet drains. This is a great example of why you need to know your rates of flow and gallons used. Let’s say your toilets are two or three decades old, and they use between three and seven gallons of water every time they are flushed. Installing a WaterSense model will reduce that usage to 1.28 gallons/flush. You can probably imagine how quickly a water savings of between 50 and 500 percent would affect your bottom line, and how quickly those toilets could pay for themselves. Similar examples can be made with shower heads and sinks. If your showers were installed pre 1992, you might be looking at a flow of 5.5 gpm. Now, you can get a shower head with a flow rate of 2.5 gpm. Multiply that by 100 rooms and you’ve got a significant daily savings. Low flow and high efficiency toilets will save you money immediately. REMEMBER: Dual-flush toilets should be equipped with posted instructions so that everyone understands how to use them! Have sink aerators installed; these reduce the flow of water by 1.5 gallons/minute. Install showerheads that regulate flow; 2.5 gallons/minute or less will not bother your guests, while saving you big time. Install motion activated sensors for hotel sinks and restroom facilities. This not only controls the amount of time water is used, but your guests will appreciate hands-free options. Install timers in your hotel showers. This is a gentle reminder to guests to be conscious of water conservation. Many urinals are no-flush, but there are new energy efficient models on the market which may provide a more pleasant user experience. If your hotel has a kitchen, there are likely two main areas where you can make reductions in your water usage and save money over time: upgrading appliances and educating staff. Consider investigating possible rebates, tax breaks or other incentives may be offered for purchasing ENERGY STAR® rated equipment. Energy efficient equipment can go a long way in reducing usage. The average commercial dishwasher uses roughly four gallons of water per rack (GPR), while energy efficient models can bring that number well below a gallon per rack. The official requirements for a commercial dishwasher to be considered for an ENERGY STAR® rating can be found here, if you’re interested. Ice machines, which might be in your kitchen as well as other places around your hotel, are another big offender when it comes to inefficient water usage. This is because ice machines with water cooling refrigeration units use lots of water simply to cool – much more water than is actually used to make ice. The amounts of energy and water vary widely with each unit, but it’s likely that between 34% and 95% of water used in these machines is simply going down the drain after it’s used for cooling. The alternative option is air cooled refrigeration units, which are much more water efficient. Previously, these machines were often less energy efficient that water cooled machines, but current energy efficient technology means you can have an air cooled refrigeration unit that wastes neither water nor energy. Don’t forget about the human element to water usage reduction in your kitchen – namely your staff. While most of us have an education in basic conservation, your staff might not be aware of how much their water usage is costing your business. It’s imperative that you make it clear that water is a metered utility – just like electricity or natural gas – and should be treated as such. Don’t be afraid to educate them on ways to conserve water! Do your kitchen staff do any of the following? Washing produce under a constant stream of running water. Running half-full loads in your dishwasher. Keeping the water running while cleaning surfaces or dishes. Upgrade to ENERGY STAR® rated equipment. This alone will reduce water usage by approximately 10%. Install sink aerators to reduce the flow of water to 2.5 gallons/minute or less. Install pedal operated faucets. This will reduce the ability for staff to turn on a faucet and walk away while leaving it running. Turn off continuous flow water streams when not in immediate use. Only run fully loaded dish racks through the washer. Defrost food in refrigerators instead of under running water. With just a bit of foresight, you will save thousands of gallons/year by eliminating this unnecessary cost. Wash vegetables in water basins rather than under running water. Fix leaky water lines immediately. Educate your staff about water usage and encourage them to be conscious of how they use water. Install food traps or compost food waste, rather than automatically and excessively using your garbage disposal which requires running water to work properly. 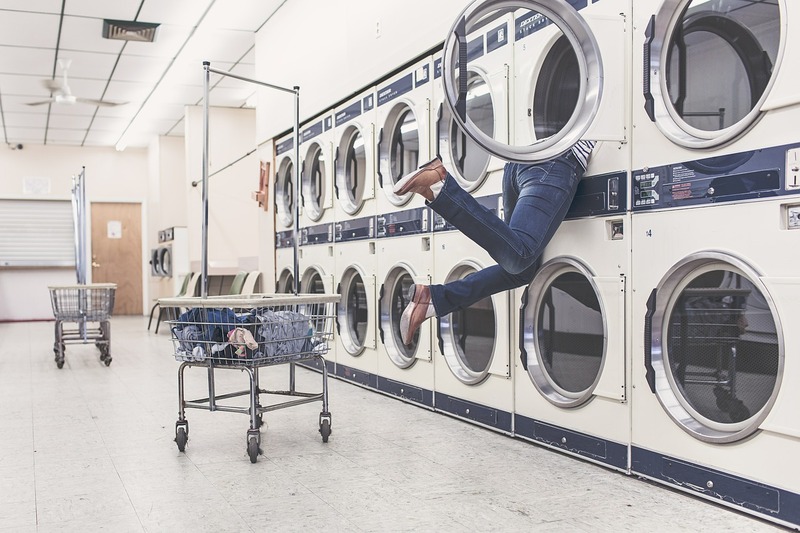 After restrooms, laundry operations are the second biggest consumer of water in your hotel, clocking in at an average of 16% of overall usage. One great way to cut down on loads of laundry being implemented in hotels everywhere is to change your practice from daily washing of sheets and towels to every other or every third day. Mosts guests to your hotel probably don’t sleep in freshly laundered sheets each and every night of the week, and won’t expect to do so at your hotel either – especially if it’s in the name of water conservation. If properly implemented, a long weekend stay can go from daily washes of sheets and towels to just once per room per stay. And for bonus savings – less frequent washings can also lead to less frequent replacement of linens and towels! Water and wastewater account for more than 50% of the total operating costs in a typical commercial laundry. An upgrade that can really make a difference in your laundry operations, is to invest in either a “tunnel washer” or a “washer-extractor”. A washer-extractor often includes a water recycling option, meaning the water used in the rinse cycle is stored inside the machine for use in the subsequent wash cycle. Machines without this capacity can be retrofitted with a recycling unit. Tunnel washers operate much differently than normal washing machines, containing long chambers that the laundry is slowly pushed through. These units, though very expensive are highly efficient, using between ⅔ and ½ the amount of washer-extractors. Reduce detergent and water use by installing ozone systems. Landscaping is number three on the list of Big Water Users, generally making up an average of 14% of hotel water usage. Oftentimes water is wasted in landscape architecture simply due to a lack of knowledge about irrigation systems and horticultural practices. For instance, you’re probably familiar with overhead sprinklers for irrigation, but have you heard of a product called drip tape? Exchanging your overhead sprinklers for drip irrigation can save you water because while a sprinkler will broadcast water all over the place, drip tape and drip irrigation will concentrate a steady flow of water onto only the plantings of your choosing. Just place the drip tape tubing on exactly what you want watered, turn it on and walk away – certain that only your plants are being watered and not your asphalt driveway. Another great innovation in irrigation are rain sensors for your sprinklers. Never again will you have the frustrating experience of looking out the window in a downpour only to see your timed sprinklers come on, adding your purchased water to the free stuff falling from the sky. Rain sensors tell your sprinklers that the work is being done for them and they can take a break for the time being. Unless you have water-loving plants in a hot and dry landscape, plants and shrubs don’t need to be watered every day. The exception to this rule is new plantings, which may need a daily watering for the first week or so. Follow these and save on water and overall costs! Water your hotel landscape 2 to 3 times a week instead of every day. Remove weeds and other unwanted plants to preserve water for your desired landscape. Do not over-fertilize or over-prune plants to avoid overstimulated growth. Avoid hosing down hotel sidewalks, parking lots and driveways, unless absolutely necessary. Install soil moisture override systems and timers on hotel sprinkler systems. Time watering when evaporation is the lowest: early morning or evenings are the key. Make sure irrigation equipment applies water evenly; if it’s watering anything other than the lawn and garden, it’s wasting your money. Use mulch around plants to help avoid evaporation and keep weeds to a minimum. Install drip irrigation instead of sprinkler systems. Install rain sensors on your sprinkler system so you don’t end up watering in the rain! Install rain barrels or other water catchment systems to catch water as it falls from the sky for free for later use in landscape watering. Sweep floors whenever possible to clean them. Avoid washing down sidewalks and surfaces with hoses, which waste a lot of water in this application. Consider switching your mopping system to the water broom, a new technology that saves water while delivering maximum cleaning power. Conduct an audit of your housecleaning staff and their procedures and keep an eye out for excessive water usage during cleaning. Discourage water-wasting practices in the housekeeping staff, like using the bathtub as a mopping station. Switch your hotel’s carpet cleaning process from wet to dry. Have windows cleaned on an as-needed basis, as opposed to a set schedule which may be unnecessary. Consider switching any water cooled equipment to air cooled – in addition to your ice machines this could include air compressors and refer condensers. Installing greywater systems is a big commitment, but once in place is probably also the single biggest way to recycle potable water. Greywater uses filtration systems to turn the water used for laundry, dishes and bathing into water that can be used to flush toilets and irrigate your landscaping. We may not think that water can be used twice, but really – why shouldn’t the water you showered in be used to flush a toilet? With the right mechanisms in place, greywater can be an amazing way to reduce water usage. If you’re ready to take your water reduction to the next level, look into installing a greywater system in your hotel. Now that you have a better understanding of how to save money with your hotel water usage, it’s time to get to work. The longer you wait to begin implementing your hotel regulatory procedures and water saving equipment, the longer you’re going to keep flushing money down the drain. You’re in the hotel business to make money. Taking control of how effectively and efficiently your hotel uses water directly affects how much money your hotel makes every year. Making money isn’t just about renting more rooms, it’s also about reducing your hotel expenses. You simply can’t afford to keep ignoring your water usage, not just for your profit margin, but also for the environment. Try these water saving tips today! Featured image courtesy of Flickr user Steve Johnson. Licensed under CC by 2.0. All images in post licensed under CC0 Public Domain.